Milverton is 'a community within a community' and recognises the importance of links with the local community. We are constantly looking to develop new links that will benefit the children and their learning. We have good links with both Trinity School and North Leamington School and benefit from the support of some of their specialist teachers and specific projects in enriching our curriculum. We also have many other links with other local groups and organisations. We work very closely with Onside Coaching who provide sports coaches that work with children throughout the school, teaching the ‘games’ part of our P.E. curriculum. Coaches also run different clubs as part of our extra curricular programme and support our Year 6 trip to Marle Hall. We invite different faith organisations to contribute to our daily school assemblies that follow different themes. We regularly have visitors from St Mark’s Church and Dale Street Methodist Church. 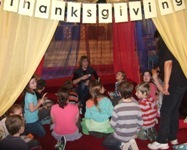 The children visit St Mark’s Church at Harvest and Christmas each year for special assemblies. We have very good links with Leamington Tennis and Squash Club. Both tennis and squash coaches work with our children every week through our extra curricular club programme and Friday Activity Afternoons. We regularly involve the police in our curriculum through various topics including people who help us and road safety. 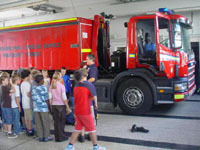 Each Year children in Year 1 and Year 5 are involved in the Fire Services education programme – this includes a trip to the local fire station for the Year 1 children. At Christmas our children get out into the community and visit different local groups and organisations and share their talents providing welcome entertainment.